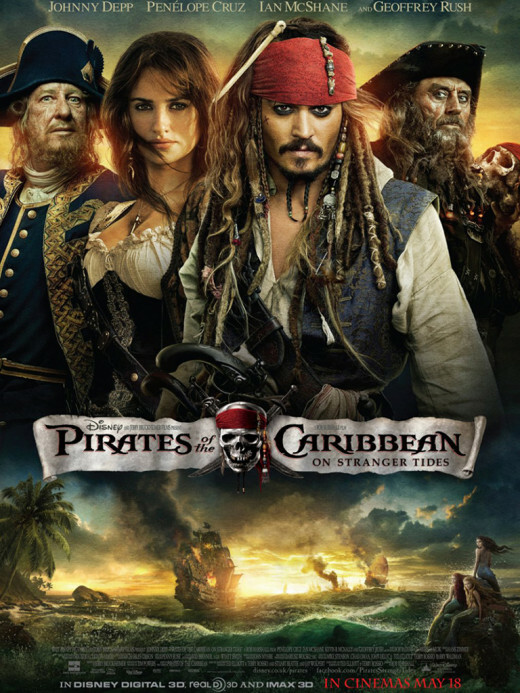 Pirates Of The Caribbean: On Stranger Tides is a fantasy adventure film released in 2011 and is the fourth instalment of the Pirates Of The Caribbean franchise. It is unique in the series so far for being a stand-alone movie unconnected with the events previously shown in the series - it is also the first film with Rob Marshall in the directors chair instead of Gore Verbinski. The film sees Johnny Depp return as eccentric buccaneer Captain Jack Sparrow who reunites with an old flame to hunt for the lost Fountain Of Youth. Despite currently being the most expensive film ever made, it was hugely successful at the box office after taking over $1 billion. 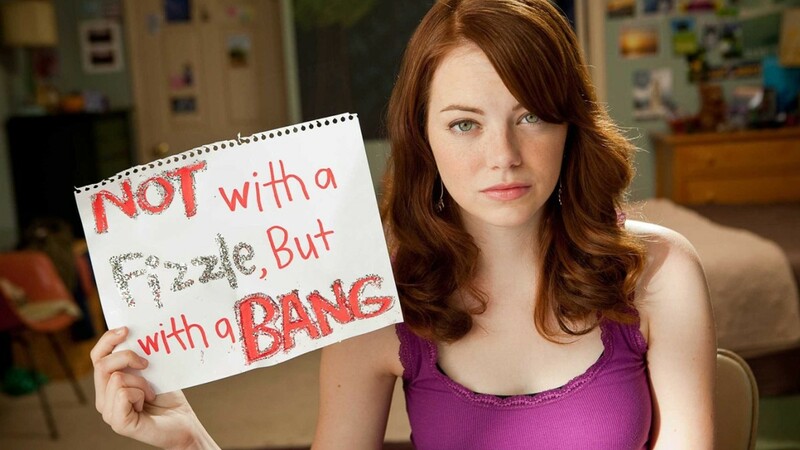 Critical reaction, however, was more mixed - the film's script and lack of originality received some flak, although the film's cast, visuals, action and shorter running time did receive some praise. 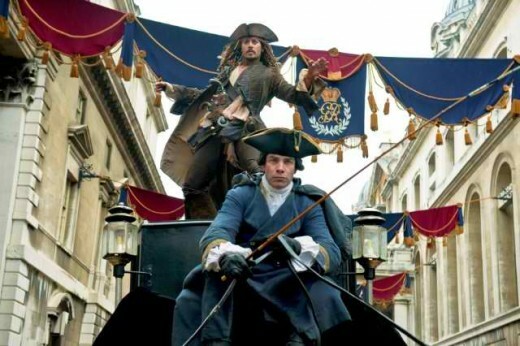 Attempting to rescue his first mate Mr Gibbs in London, Captain Jack Sparrow is apprehended and taken before King George II himself. The King wishes Jack to guide an expedition to the Fountain Of Youth before the Spanish Navy claim it for themselves. The expedition, however, is to be led by Jack's one-time nemesis Hector Barbossa who now serves in the British Navy after losing his leg and the Black Pearl. Understandably, Jack declines and escapes - only to find himself working alongside his former flame Angelica aboard the Queen Anne's Revenge, led by infamous pirate Blackbeard. Gibbs, meanwhile, is recruited by Barbossa to guide the expedition instead. With the British and Spanish navies closing in on the Fountain, Blackbeard's approach is more direct as he charts a course through mermaid-infested waters and gradually acquiring two silver chalices required to drink from the Fountain. Who will get the Fountain first, will Blackbeard's desire for power bring tragedy for all and will Jack ever learn? The film certainly maintains the breakneck pace of At World's End, which allows the film to rarely give the audience a chance to catch their breath. 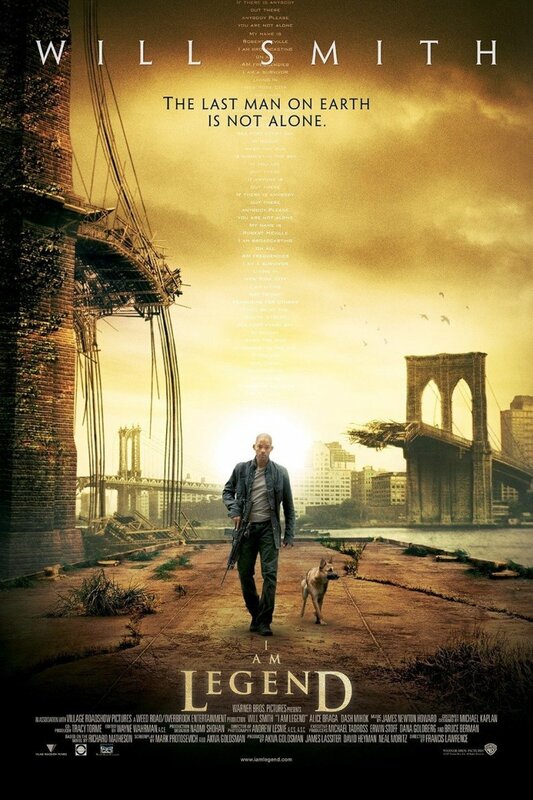 As usual, the film is chock-full of impressive action sequences, stunt work and exquisite attention to detail. Depp once again is the epicentre of anarchy as all the other characters bounce off him as the film trundles on. And weirdly, despite the mermaids and zombies and magic swords, it feels more believable than the two previous instalments. 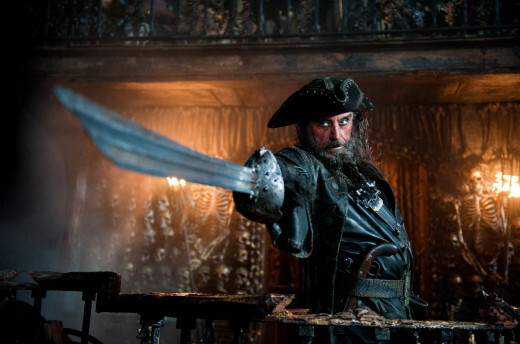 McShane's Blackbeard is a fearsome foe to Jack to tangle with and he is much more relatable than Bill Nighy's barnacle-faced baddie Davy Jones. Crucially, though, the sense of fun is back. The Curse Of The Black Pearl had a bright and cheery feel to it as though it was basking in the Caribbean sunshine. But both Dead Man's Chest and At World's End were too dark to really enjoy but I'm delighted to see the sunshine is back, filling the screen once again with colour and beautiful scenery instead of scary monsters and ominous-looking storm clouds. However, there are still enough scares in the film to make the more jumpy viewers react - the mermaids are a case in point, being both utterly bewitching as well as slightly demonic. While filming in London, Depp received a letter from a local schoolgirl asking him for help in a mutiny against their teachers. Almost without warning, he turned up at the girl's school in full costume - but advised the children against mutiny. On Stranger Tides is the shortest of all the films in the series. It's also the first not to receive a single Oscar nomination. The original budget was reduced to $200 million in response to the financial crisis in 2008. However, the budget ended up being around $378 million. By contrast, Avatar cost an estimated $237 million and Avengers Assemble cost $220 million. With the freedom they had to make a stand-alone picture, it's somewhat disheartening to find that the film-makers chose to stick so rigidly to the previous successful formula. Other than the mermaids, there isn't anything in this picture that we haven't seen before. Actually, I lied - Sam Claflin's character, a missionary caught up in the race for the Fountain, is the first completely unnecessary character seen in the series. I can recall nothing about his performance other than the highly predictable romance between himself and Àstrid Bergès-Frisbey's mermaid. And because it's so similar to the others, you quickly find yourself losing interest. Depp's performance grates after a while, Rush seems a little bit reserved as Barbossa (having previously had more yo-ho-ho than the rest of the cast combined) and not having the rest of the usual crew (Ragetti & Pintel, Will Turner, Elizabeth Swann, Bootstrap Bill, etc) gives the impression that the film is half-hearted somehow. It spends so much energy going through the motions that there wasn't enough left to give audiences something different to look at. I wanted to be taken on a journey, to see things no-one had seen before and to have a damn good time doing it. And to be honest, I was somewhat disappointed. On Stranger Tides is a perfectly acceptable entry in the series but doesn't hit the peaks the way the first film did. It's an entertaining swim through every pirate cliché in the book but ultimately, it feels like a half-hearted, missed opportunity that won't do anything to appeal to new audiences. Whether it opens the gates for another trilogy to match the success of the first remains to be seen. For families, you're probably best off with the wonderful Curse Of The Black Pearl. It's heady mix of bright sunshine, special effects, stunning action scenes and Depp's performance make the film an absolute winner. Both of its sequels - Dead Man's Chest and At World's End - indulge in varying degrees of darkness as well as introducing so many new characters and subplots that eventually, the story disappears from view like a rowing boat being eaten by the Kraken. Away from pirates, it's not that often that Hollywood buckles a swash these days. The moderately successful The Mask Of Zorro didn't exactly set the world alight and the less said about the wretched steam-punk version of The Three Musketeers, the better. 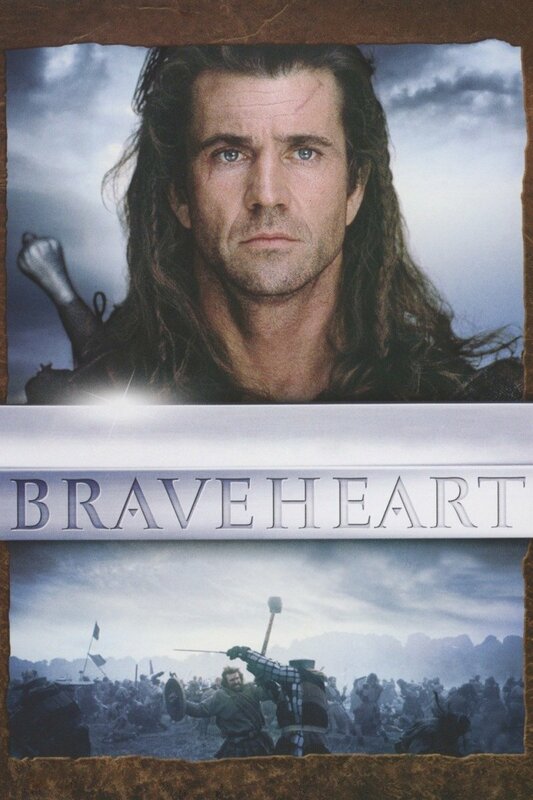 Even Robin Hood failed to ignite the box office in the same way that Kevin Costner's Robin Hood: Prince Of Thieves did back in the early Nineties. It's a syrupy, expensive-looking, stylish pantomime with no effort whatsoever to make the film English besides having Alan Rickman as the Sheriff of Nottingham. Women seem to love it. Have you watched Robin hood prince of thieves? how is it?